Camera Shield is the first shield board that support photograph, it is based on the solution of VC0706 + OV7725, the former is a high performance camera processor with enhanced image processing functions and it embedded the hard-wired JPEG codec, and the latter is a high-performance ¼ inch, single-chip VGA camera and image processor in a small footprint package. We have written our library to control the Camera Shield via UART/SPI, which makes it possible to take picture easily by your Arduino board. Come on and use it to take a photo! 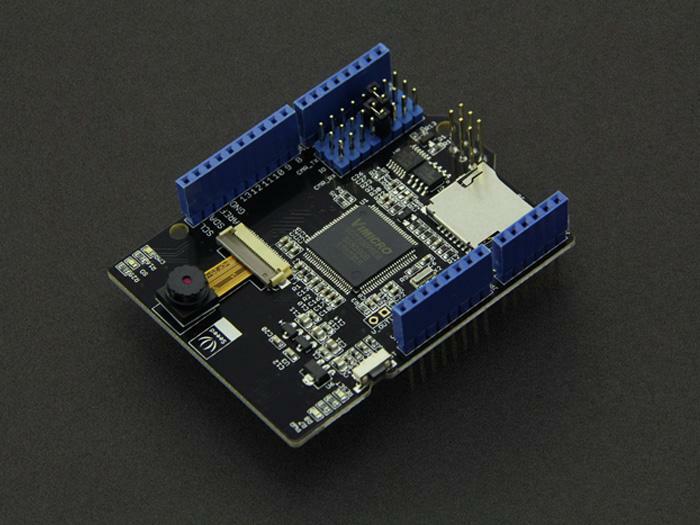 Camera Shield can be controlled via SPI or UART interface. Here is a brief introduction to use Camera Shield. Download the Camera Shield library file from gitHub and then extract the library file to your Arduino libraries folder. Open the example folder in libraries/Camera_Shield_VC0706, you will find the snapshot example sketch, double click the snapshot.ino file to open it with arduino IDE. We arrange the library to make it possible to control the Camera Shield via Software Serial/Hardware Serial/SPI, you can have your choice via modifying the code. UART —— slower mode. Software Serial only support 9600/19200 baud rate. Hardware Serial can be 115200/38400/19200/9600. It will take about 30s to get a picture if you choose the uart mode and at 19200 baud rate. SPI —— faster mode. It will only take about 1s or 2s to get the whole picture back. You can choose your mode in VC0706_UART header file. We use the SPI mode by default. to use the UART mode. Stack the Camera Shield onto Arduino and Insert a mocro-SD card to the Camera Shield, you should pay attention to the serial jumpers that you defined in you code. Compile the sketch and upload it to your arduino board. 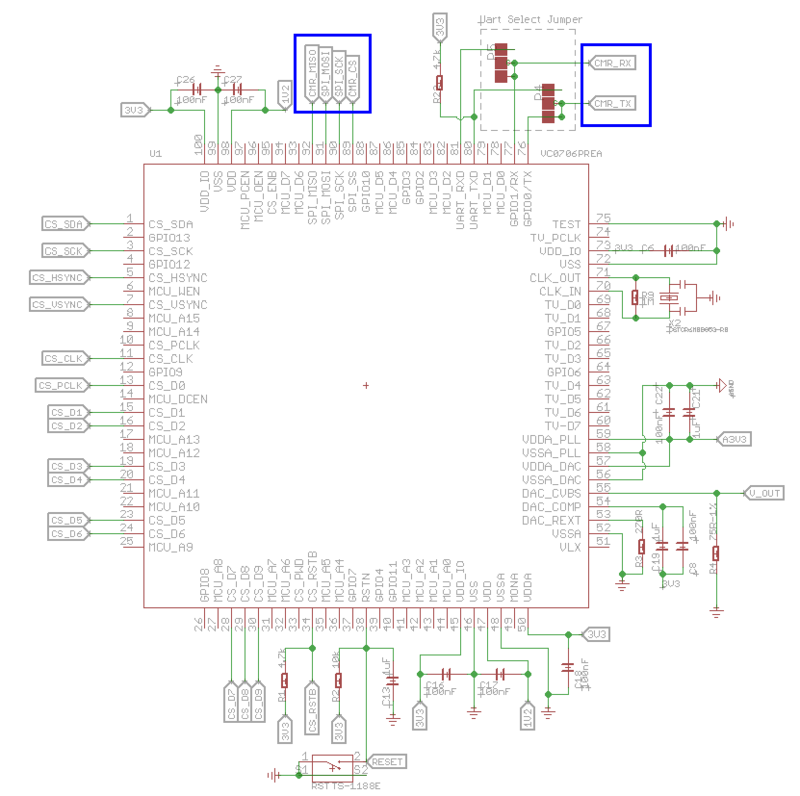 Open the Serial port of Arduino IDE, you can see the debug information shown from the Serial port. and the SD card status LED will blink quickly during the data transfer.